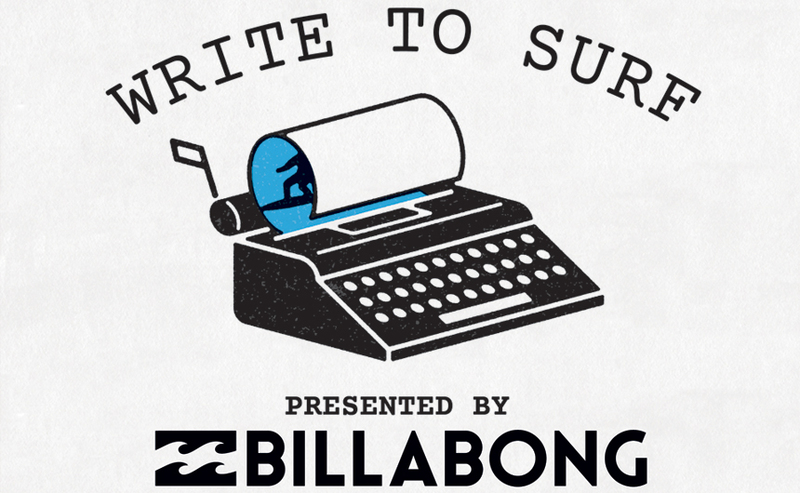 Our next featured Write To Surf entry comes from Emilie Uttrup. 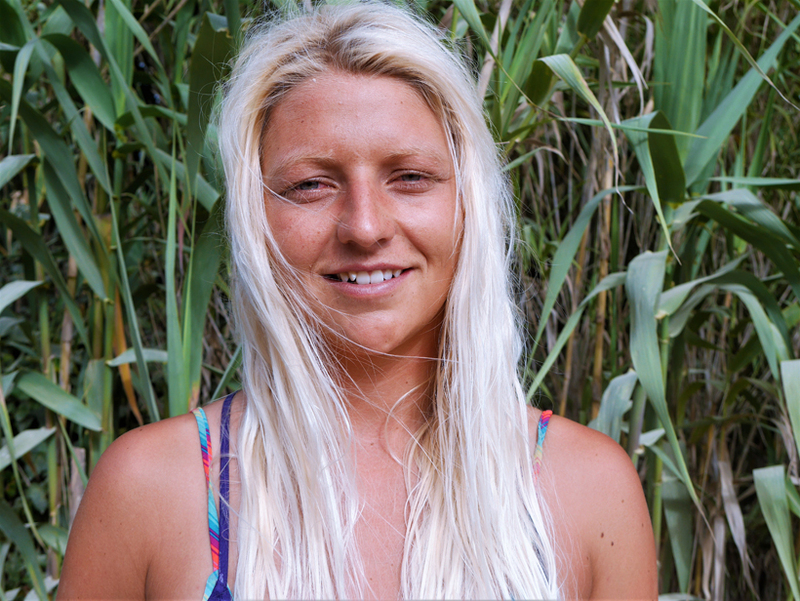 Emilie shares her story of overcoming fear with surfing after a tragic car accident. I open my eyes, and everything hurts. I squint away the bright florescent lights, and try to focus. I’m lying in an uncomfortably narrow bed, the walls are a sterilised white, and I can see Chinese doctors standing by the door to my left. A hospital. I’m in a hospital. Noticing I’m awake, a nurse starts speaking to me in rapid Mandarin, and places a phone up to my ear. “Dad? I… I think I fell off a horse.” I look down at my arms, and all I see is blood. I can’t feel my legs. I start to panic. “No, Dad… I’ve been in a car accident.” And then everything goes black. It all started seven years ago. Horses had always been a part of my life since I was six years old, and I had been competing in professional show jumping for years. Shortly after graduating high school I was offered work in China as part of a joint project between China and Denmark. The idea was to import European show-jumping horses to China, and it was my job to not only ride the horses, but educate the local people on how to train the animals professionally. Getting the chance to combine horse riding with international travel seemed like a dream, so in September 2009 at the age of 19 I travelled solo to Dalian, China. Six weeks in, my stay took a dramatic turn when I was a passenger in a tragic car accident. I was tagging along with my boss and two locals to scout some buildings for a new horse-riding centre. The last thing I remember was feeling uncomfortable because the driver was going pretty fast on a narrow country road. Later, I was told that we had swerved to avoid a motorcycle, flipped, rolled down a hill and ended up upside down in a lake. It took the ambulance 45 minutes to arrive on scene. Besides the driver, I was the only survivor, and we were the only two who were wearing our seat-belts that day. The other local had died instantly, and my boss passed away en route to the hospital. I woke up alone, with no idea where I was or what had happened. “No, Dad… I’ve been in a car accident.” They were my last words to my father before I passed out again. The next time I woke up my Mum was there and I had been moved from a local medical centre to a bigger hospital in Dalian. I remember the look on her face when she saw me. I remember the fear in her eyes. I remember looking in a mirror and not being able to recognise myself. My whole face was black and blue, swollen, with stitches and wounds everywhere. This was when I realised how serious the accident had been. Due to the extent of my injuries and internal organ damage, it took three weeks before I was cleared to fly home to Denmark with my Mum. Little did I know at the time, but this was when the real recovery began: the mental recovery. When you’re 19, you possess a certain invincibility— you know exactly what you want and feel like you can do anything. The accident changed all that for me. For a long time I couldn’t understand why this had happened and why I had survived – I spent a lot of time punishing myself for moving to China and for the choices I had made. It was as if my life had suddenly become a horror movie, and I didn’t know how to react. I didn’t know the other passengers in the car other than the leader of the project I worked for, but when I heard about what happened to them I felt broken, and filled with feelings I didn’t know how to handle. Depression. Fear. Guilt. I was no longer invincible. I tried to get back into horse riding as soon as I was physically able. Through all of life’s ups and downs, horses had always been my passion. I loved the challenge of working with a living being, and how every day was different. I loved the pure joy and energy and adrenaline of flying over jumps— the bigger the better, the faster the better. Horse-riding had made me feel fearless. And yet, as hard as I tried after the accident, I had lost my love for the sport. 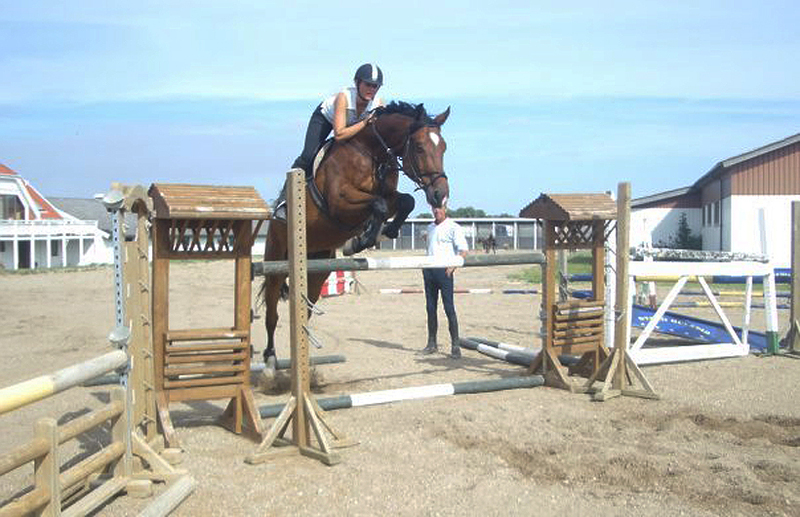 I didn’t enjoy jumping anymore, and it took me a long time to admit that to myself. By giving up horse riding, it felt like I was giving up on myself and my identity. I felt like a failure. As much as we can’t control what happens to us in life sometimes, we can control how we choose to deal with it. One day I realized I had been given this second chance, and that it was up to me to make the best of it, even if that didn’t involve horses anymore. I didn’t want to be afraid or sad or angry anymore. And while the path I’d imagined for myself since I was a little girl was gone, I wanted to be strong again. This was when I remembered a thought I had when I woke up in the hospital bed in China, thinking I was paralysed: If I’m ever going to be able to walk again, I want to learn how to surf. It had always been one of those tucked-away dreams of mine ever since watching Blue Crush. It’s a slightly-cheesy chick flick from 2002 about a female surfer who overcomes her fear of drowning to compete again, and I had absolutely loved it. So instead of being afraid of the unknown, afraid to travel again, afraid to be alone again, I made a decision. I went into a travel agency and came out with a one-way ticket to Australia. After everything I had been through in the past year, moving to Australia was one of the scariest decisions I ever made. But sometimes the things we are most afraid of starting end up being the most beautiful chapters of our lives. I moved to Sydney and signed up for a weekend surf trip. Day One was all about learning the basics, and I absolutely sucked. I tried over and over, but I couldn’t stand up. We were supposed to have two 2-hour lessons, but I was so determined to get it that I ended up staying in the whitewash for over six hours. The next day one of the instructors took me out paddling in the green waves. They couldn’t have been more than one or two feet high, but that first time I stood up was everything. It was challenging and adrenaline and joy and freedom, and everything that I used to feel from horse riding: I had found my mojo again. Australia was life-changing, and surfing healed me in a way that no amount of physiotherapy or medicine could ever do. In the water waiting for the next wave, I met so many inspiring people, who continue to inspire me to lead my own authentic lifestyle. 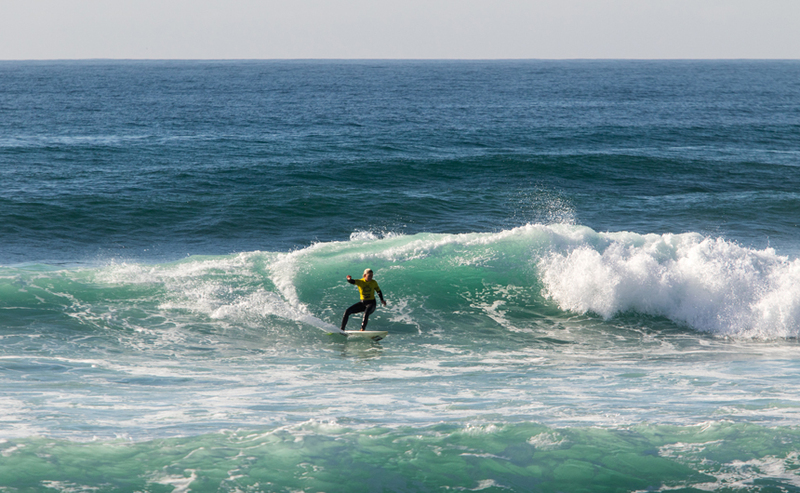 Today I live in the little coastal town of Ericeira, Portugal where I get to surf every day. I’ve caught waves in Australia, Denmark, Indonesia, Hawaii, Nicaragua and Costa Rica. 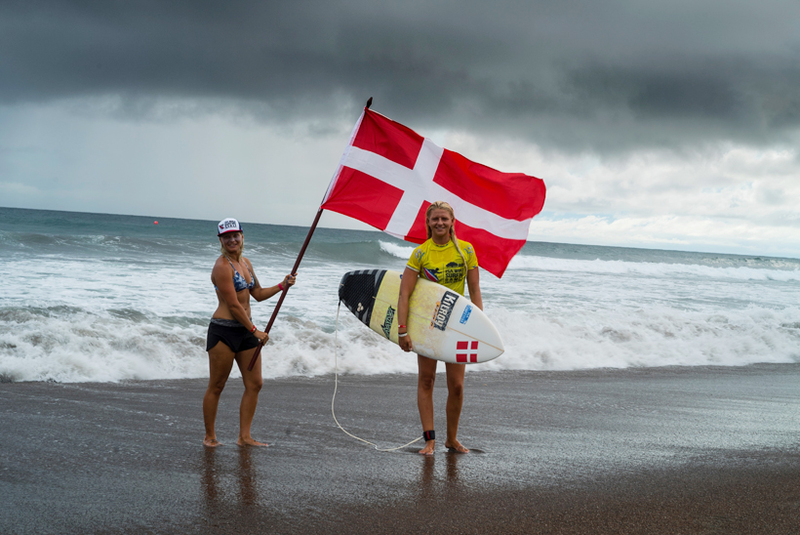 I am a certified surf instructor and have been lucky enough to compete internationally for the Danish Surf Team. And every once in a while, I marvel at where life has taken me. Or rather, where I have taken myself. If someone told me when I was 18 that this is what I’d be doing with my life, I wouldn’t have believed it. I still have moments where I wish the accident had never happened. However, I’ve slowly— sometimes painfully— learned a lot from how I dealt with the trauma and its consequences. For years, I tried to keep the whole ordeal to myself and pretend it never happened. Especially towards my family, because of how hard it had been for them. But with time, I’ve discovered how important it is to be honest and open towards the people I care about; To speak up about my emotions even when it hurts; To lead a positive life and to smile often; To not be afraid or daunted by the fragility of life, but to celebrate and embrace every moment of it. The last 7 years have taught me that dreams can change, and that’s okay. How even though it can be hard to accept sometimes, it’s necessary to let go of the past in order be happy again. And while I can’t change the past, I can appreciate the present for everything it is. Surfing gave me the opportunity to feel alive again, to travel, to seek new experiences, to connect with new people and go after what I want. It brings me happiness and the ocean is my healer. And ultimately, surfing taught me that it’s not about how many times you fall— it’s about paddling out and trying again. Wow – what a harrowing story. So sad to hear about the other passengers. But, in what must have been a mixture of pain and grief, I’m glad you were able to come out on the other side and make something positive come of it. Best of luck on what I’m sure will be a lifelong recovery. Thanks for sharing.